Although we didn’t know it at the time we were completely devoid of the management framework we needed to ensure our activities were connected to top level results. Without this connectivity even our successful campaigns didn’t have the topline impact we believed it would. And we heard about it. Our biggest issue was raw lead generation and we were focused on building out a total framework. If only we had looked at our business as a whole we would have known to stay away from automated demos and email engagement and focus on targeted ads, blogging, white papers and other top-of-funnel resources. As you can imagine, the full story is much longer but the stage was set. I would soon embark on a journey to create the framework necessary to ensure that something like this would never happen to me or our team again. And with that, the inspiration for Objective Marketing was born. Objective Marketing, def. ; an integrated marketing, sales and business development methodology that connects top level company goals like revenue with KPIs, activities and channels. This ensures that projects and campaigns have the greatest impact on topline revenue and highest likelihood of helping the company achieve strategic objectives. There is a propensity based on the annual business cycle to activate marketing when budgets open. While we know there is often little that can be done to alter this process it generally results in an elevated spend up front and the need to quickly take action. This rush to maintain leaves little room for strategy and planning let alone an exercise to align marketing activating to overall business health or success. Goals. Business goals. Marketing goals. 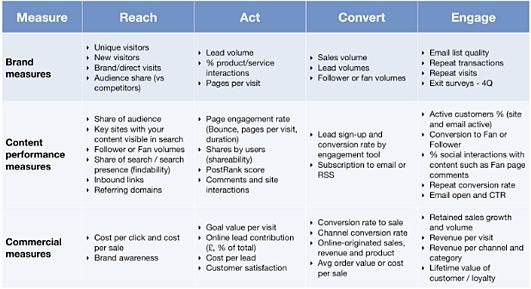 Conversion and traffic goals. Oh so many goals to think about and connect. 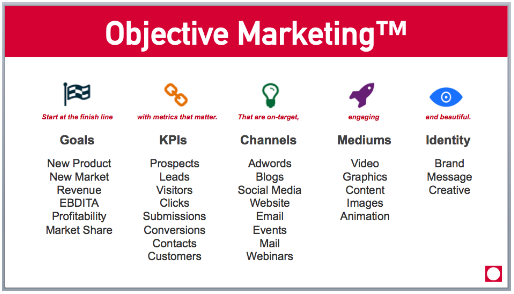 In Objective Marketing we start our plan with the highest level business objectives. The things you see listed above like revenue, products launched, markets entered, etc. With this foundation in place we can then think about marketing goals that span the next 2 areas. With a solid, clearly defined foundation we can build out the program. 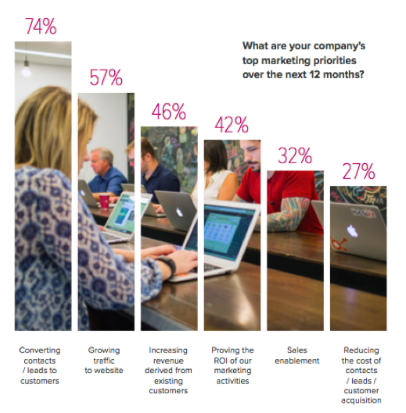 See the example below excerpted from Hubspot’s 2016 State of Inbound. Channels. By understanding the most meaningful and impactful metrics, and having the right buyer persona, we have a good idea of the most useful channels. To target your ideal customers to drive traffic (let’s say mothers ages 35-40 in and around Minneapolis who have an interest in outdoor sports) we use a Facebook ad campaign or buy highly-targeted digital ad space. To drive conversions perhaps we feature a free digital guide to local campgrounds, or maybe it’s a series of video reviews of local gear and tackle shops. Either way, we know that these activities will drive the KPIs that will move our business forward. Mediums. Different demographic groups consume content in unique ways. By knowing our channels, personas, and KPIs we can select the most cost effective way to attract and engage our target audience. Technical people are often drawn to explainer videos, charts, graphs, etc. Whereas visual people might respond better to hi-res images or experiential videos. 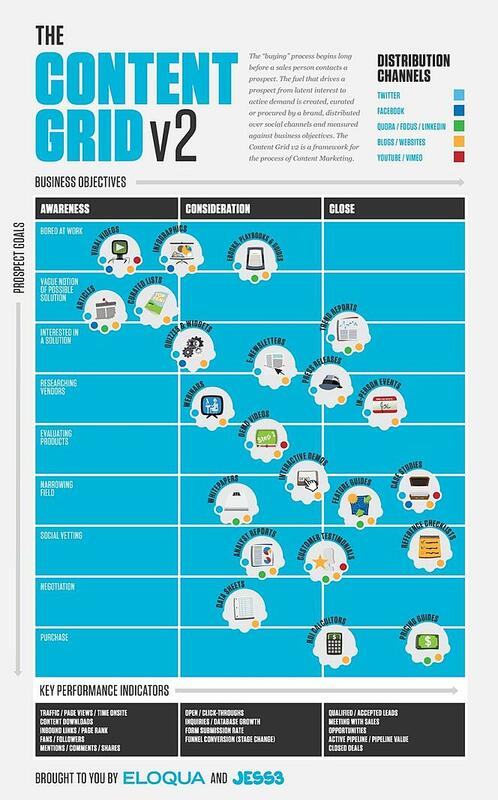 Eloqua provides this very nice summary of content types and when/where they're appropriate. Identity. This is not so much a step as it is a factor. Certainly, not every activity needs to visit or revisit identify as part of its definition. However, for larger campaigns or for products or brands with little or no identity or their own this can be an important final consideration. Because it is applicable to everything from rebranding initiatives to product launches to integrated sales and marketing campaign; the implementation and outcomes of Objective Marketing methods can look very different depending on the circumstance. However, one thing is always true. When you have a solid plan that is consistently revisited then your marketing is now supporting your business rather than operating in a vacuum. By diligently and rigidly working backward from your goals you'll find that the outcomes of where you should invest your time and money can vary wildly from your assumptions. 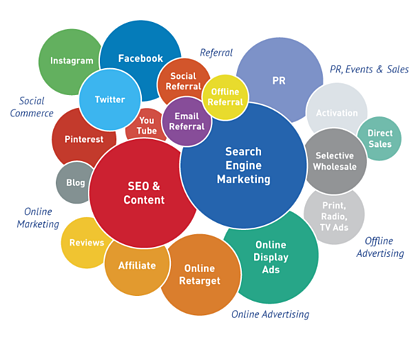 To learn more about Objective Marketing or see how it can be applied to your business or marketing efforts please contact SqaureWheel group today for a free, initial consultation.